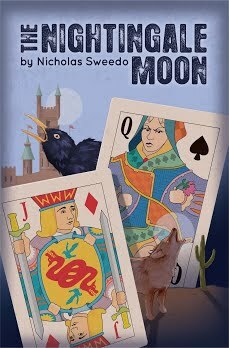 General George Custer is in town to get evidence on corrupt traders in the War Department, and his wife asks Legend to help in the cause. But a mysterious golden-eyed man from Legend's past aims to stop them. Two very strong performances, one by Whipple (the corrupt War Department trader) and one by Caine (the man with the golden eye). At first I thought it might be a twist and that they might be the same person, but it is later revealed that they are indeed two different people. Both actors are excellent and play the roles with energy and menace. Is it too late to call the Emmy committee?! The scene with the "Indian" attack on Legend and Custer on the steam wagon train (I put Indian in quotes because we learn later that they weren't actually Indians but instead were pretending to be). The action itself is over the top as Custer calmly shoots at least five of them while somehow the 20+ attackers are not able to hit anyone, even when everyone in the wagon stops for 15 seconds to put on gas masks. Great title for this episode, which is directed by frequent MacGyver director William Gereghty (who also directed Legend episode 2). Strong opening with the MacGyver styled Ken Harrison music and the mysterious villain with the gold eye. The scene gives off a bit of a Murdoc vibe, and I thought of this again at the end of the episode when we learn that they never found his body after his fall from the balloon. The actor playing Custer is a good actor, but I pictured Custer to be more dashing and debonair rather than stuffy and uncharismatic as he is portrayed here, though who knows what Custer was really like. Also I have to laugh when Libby says that he's "larger than life" even though he's a head shorter than Legend and Bartok. Seems odd that the corrupt post traders can freely move around the fort without getting berated or harassed by the soldiers which they're taking advantage of and which outnumber them greatly. I thought at first that maybe there was some doubt about the corruption, but the soldier in charge seems pretty sure about it when he tells Custer about his men's substandard food and weaponry. If the balloon was going to follow the coach all the way to Denver, couldn't the Custers have just take the balloon? Libby Custer clearly has the hots for Legend. The guest star actors really delivered here, but nevertheless I wasn't all that fond of this episode. Though the plot was more consistent than Episode 3, it didn't have many highlights and wasn't overly enjoyable. I try to rank these based on what episode would I want to rewatch if I had a choice, and I would put this one in 3rd place behind Episode 3 and ahead of Episode 1. I think I remember liking this episode better than some of the others. Probably b/c the plot is more cohesive and coherent. I may go back through and watch Legend after I finish my re-watch of a couple other things I've got in the hopper (currently going through Seven Days, then In Plain Sight is up next). I just watched it last night and have similar thoughts in general, immediately making the connection of the golden-eyed villain Caine to Murdoc, particularly after the fall from the balloon where he's never found. Pretty sure if there had been a season 2 of "Legend" this villain would have made a comeback. I think I liked this episode a bit more than episode 3. As Highlander said, the story was a little more coherent and I also thought the final action scene with the stagecoach featured some fantastic stunt work and I really liked the "skyhook" that pulled Caine up from top of the stagecoach. We saw a lot of action scenes with the hot air balloon on this series and I remember enough of it from 1995 to know we'll be seeing far more. Agreed that the fight scene with the Indians was quite bad though and the series' overall pacing and style of storytelling just doesn't capture me. Good point about the likelihood of Caine making a Murdoc-style comeback if there would have been a season 2. My sister and I agree that both the villains are a great performance. Legend's nonchalance was more appreciative against the foil of his villains' menace. Libby was also great--compelling and sweet when she talked Ernest into being Legend for them. Great scene as Legend is basking in her thanks then feels the gun on his neck. Unexpected. We both liked the sinister opening though it was a little hard to see. And as "goldeneye" kept coming back for Legend, we were both guessing throughout as to when we would see his threats again. During the "Indian" fight scene my sister mentioned that RDA still didn't use guns, as he pulled out the taser-type weapon. That was a funny thought. Legend and Bartok's easy dismissal of a second invitation to Washington was funny. I like it! It's a chance most men would jump at, but both of them are so content to stay in their little town. Also great fun was to see the three heroes walk off in the end. RDA runs to catch up with Bartok and then appears to trip. They keep gesturing and talking like good friends. An interesting note is that, after the episode and preview of the next, there's a voice-over during the credits that announces a Q&A time with "Captain Janeway" (from Star Trek Voyager). Kinda dates it for me, and wierd to hear the shows overlap like that. 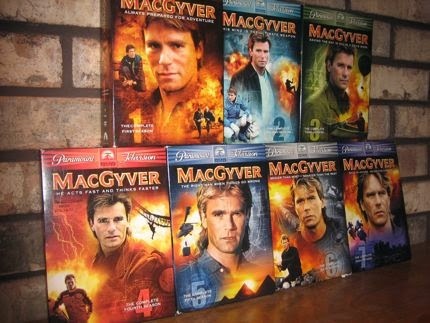 It's too bad that MacGyver didn't have that taser available to him on some of his adventures! I liked the Mayor’s description of the ‘interpretative dance’ in Custer’s honour and the reaction it gets from Pratt – the running gag about the mayor trying to improve the attractions of the town is always amusing; Later on he mentions the ‘Riverview retirement complex’ too. The mysterious Caine is quite menacing and there was a reasonable air of suspense as he stalked Pratt In his room. I agree that both he and the war department guy baddie are well-played. I too thought of Murdoc when they couldn’t find a body and another link to MacGyver with the hook in the belt to lift up the villain; a device used to similar effect many times by MacGyver! Amusing line from Pratt about his photo album ‘My mother assembled this book; nothing would just fall out. Trust me’. There also seems to be a minor running gag about the relationship between Pratt and his mother. Another amusing line when Bartok says he’s psychic and predicts that Custer will go down in history. True, but not in quite the way he imagined! I’m not sure about the series’ reliance on historic figures. It does make for some interesting background reading (Custer did have political ambitions and really did investigate corruption around the war office and the traders) but the characters are all portrayed in a slightly weird and unbelievable way and the plots are very convoluted to incorporate some elements of real history. Again, a reasonable start to the episode and I agree, at least this one was a little more consistent than the last but I’m still not overwhelmed. It’s behind 2 and marginally, in front of 3 for me. Yeah, this show has sparked me to do a little background reading also. The next episode has Hickok in the title so looks like some more history! The interpretive dance was a funny reference (how exactly does one do an interpretive dance of Gettysburg with any taste at all? ).